Adult fans of the animated television series My Little Pony: Friendship is Magic, otherwise known as bronies, are the subject of a new musical from the award-winning creative team of last year’s Fringe favorite, The Real Housekeepers of Studio City. 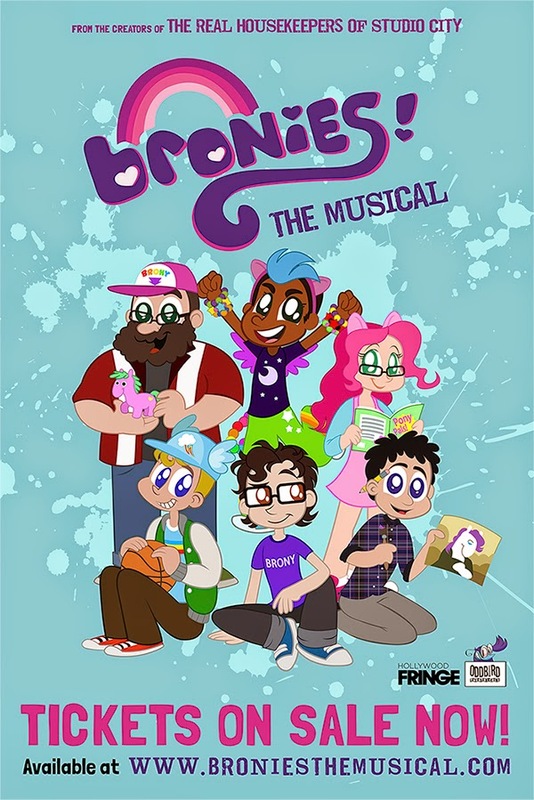 Featuring music by Joe Greene, book & lyrics by Heidi Powers & Tom Moore, and directed by Ryan Bergmann, Bronies: The Musical is the story of three outsiders who find purpose, meaning, love – and each other – all thanks to cartoon ponies. 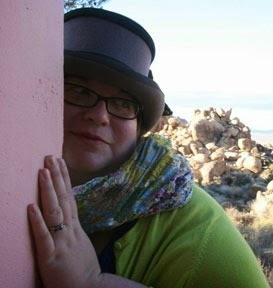 The back story is personal, especially for husband and wife writers Heidi Powers and Tom Moore. Here Heidi talks about their latest adventure into TV Land. Welcome to the herd! Then my niece and nephew, who are teenagers and bronies, introduced us to an episode of the show. I definitely could see that it was well-written and produced, including characters with unique personalities, strength and agency. But I was still curious about why it had become so popular among grown men. [My husband and co-writer] Tom Moore and I absorbed everything we could on the topic, including watching the terrific documentary, Bronies: The Extremely Unexpected Adult Fans of My Little Pony, which inspired us to create an original musical to explore the topic further. This terrific view into a misunderstood world reminded both of us of our experience as fans of Buffy: The Vampire Slayer. Before we met, we were both going through a tough time, feeling lonely and battling depression. Simultaneously - but on opposite sides of the country - we discovered Buffy in syndication. Buffy made us feel like we weren’t alone. While we connected to the wonderfully complex fictional characters, we also began to connect with real people in the online and local communities that sprouted around the show. Many of these fellow fans are still treasured friends today. The experience transformed our lives so much that we eventually listed Buffy proudly on the personal ads that brought us together. I’m continually inspired by how the My Little Pony fandom boldly breaks out of society’s conditioned gender norms… but at its heart, bronyhood, like all fandom, is built on friendship and shared love. So Bronies: The Musical is about the restorative power of community, and how loving something - and sharing that love with someone else - can bring so much joy into our frequently challenging lives. In March while we were writing the musical, a story broke about a nine-year-old boy in North Carolina who was bullied for wearing a My Little Pony backpack to school. Instead of addressing the bullying problem, the school initially banned the backpack. Fortunately, the school administrators came to their senses - but the outpouring of love and support for the young brony really impressed us, and we have included a similar, fictionalized plot within our story. Brony outreach has inspired us in other ways, too. We invited bronies everywhere to be a part of the musical by submitting a photo of themselves holding a sign of support for our fictional bullied character, Tyler, to be used at a key moment in our show. The response has been beautiful and astounding - all kinds of people, of all ages, have sent photos and messages of support. We even received a picture from an Air Force pilot in front of the Marine One helicopter, holding a toy pony that accompanied him on missions in 26 countries - along with a sign in support of Tyler.